Createspace Independent Publishing Platform, 9781466213036, 282pp. Jim Monaghan really didn't want to go back to Worcester. But his father's open-heart surgery and Jim's sudden unemployment forced his hand. Making daily trips from the hospital to his father's empty apartment, Jim seeks out his childhood best friend, Joe Rousseau. But Joe has problems-a feud with a local gang. And Joe's plan to resolve the matter only makes things worse. Tending to his father and embarking on an ICU romance in the day, Jim tries to help his friend. He follows Joe into Worcester nights defined by drugs, guns and fistfights. As the danger escalates, Jim makes a painful choice to save his friend, and then has to live with the consequences. Another Broken Wizard is a book about straddling childhood and adulthood, straddling a fading industrial home town and the information-economy world of our attenuated aspirations, straddling the love for a friend and self preservation. It is an evocative portrait of Worcester, Massachusetts-both its place in the 21st century and its past. "Dodds gets Worcester and shows it in all of its glories and cracks...He runs through the streets of the city and nearby towns and takes the reader with him...Dodds is a master of writing the town life and capturing all of the said and unsaid. His characters are so full of waiting, of pain, and of hope that never reaches past the next day. "-Worcester Pulse Magazine"Masterfully written with all the grit and grisly humor of returning to one's dingy blue collar hometown, Another Broken Wizard is the compelling, tightly-woven story of a couple of 30-year old boyhood chums who don't grow up until it's too late. "-Boston Literary Magazine "It kept me nostalgic for something that isn't my story, isn't my town, and I got really emotionally involved. I may have shed a tear at the beautifully foreshadowed climax, and I do not cry easily Seriously. Give it a read." 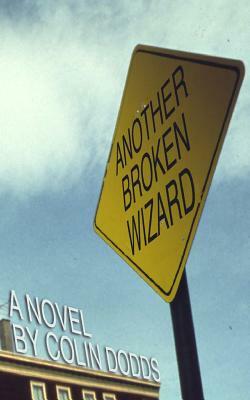 - Illiterarty.com"Another Broken Wizard is a terrific coming-of-age tale that rings utterly true. Dodds has a gift for conveying the sounds of his people and their world. He can make highway hypnosis as fascinating as a gang brawl. And he has a natural radar for locating the perfect detail to evoke the sense of what it feels like to be caught between the past and the future, between loyalty and logic, and between the security of the known and the impulse to evolve. Though I came of age in the primordial mists, it somehow felt like he was giving me a tour of my own past. Another Broken Wizard is compulsively readable. I'll be giving this book to some of my friends. "- Jack O'Connell, author of The Resurrectionist, and Box Nine "Dodds has written a fine novel. He has a voice wholly his own, and he captures the elemental good and bad in the American male. Joe's recklessness and gang feud creates a looming peril that keeps the reader on edge." -Kevin Kosar, author of Whiskey: A Global History. Colin Dodds grew up in Massachusetts and completed his education in New York City. He's the author of several novels, including The Last Bad Job, which the late Norman Mailer touted as showing "something that very few writers have; a species of inner talent that owes very little to other people." Dodds' screenplay, Refreshment - A Tragedy, was named a semi-finalist in 2010 American Zoetrope Contest. His poetry has appeared in more than ninety publications, and has been nominated for the Pushcart Prize. He lives in Brooklyn, New York, with his wife Samantha.